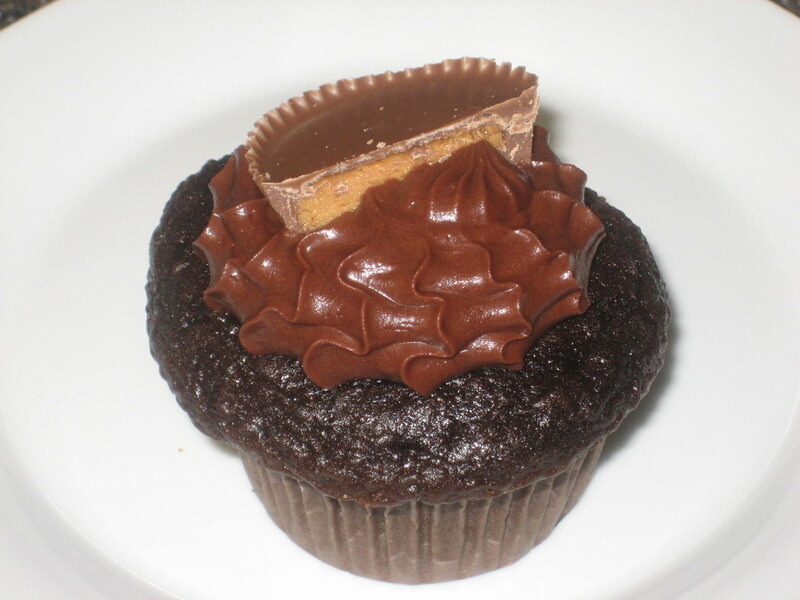 Peanut butter chocolate cupcake with Reese's peanut butter cup inside! 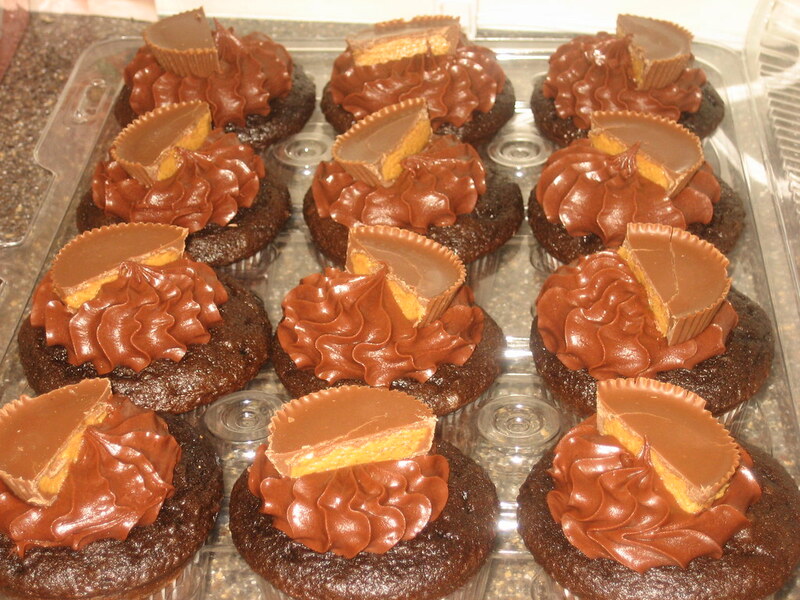 it looks like an innocent chocolate cupcake with innocent chocolate frosting and half a Reese's cup on top. But soon we will slice it open and find a surprise inside. oh my goodness. SUPER yum! 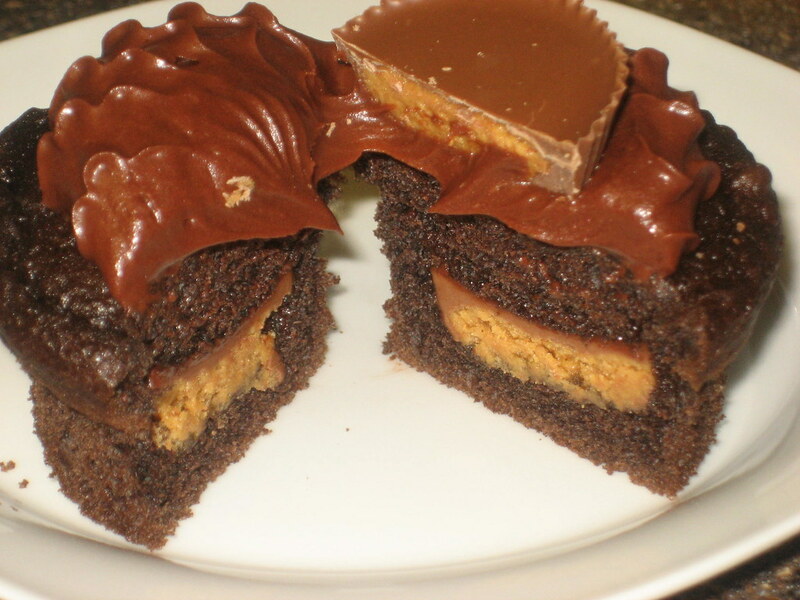 i've always loved those crazy reese peanut butter cups...!